Customer loyalty software is an essential item for running successful reward programs. Here’s a list of customer loyalty program software options. A variety of businesses use loyalty programs as part of their marketing strategy. The idea is that it makes the customers who already love coming back even more incentivized to do so. Thankfully, customer loyalty software makes running these types of reward programs easy. What is Loyalty a Program? A good way to increase the likelihood of returning customers is to set up a rewards or loyalty program. Customer loyalty programs can also help increase retention and profit. A loyalty program — not a referral program — is a type of rewards program. Customer loyalty programs reward customers for making frequent purchases. A customer loyalty program offers a discount, a free item, or specific merchandise as a reward. This happens after a customer makes a certain number of qualifying purchases. Many types of businesses use loyalty programs, including airlines, restaurants, and eCommerce retailers to name a few. Most loyalty programs provide the customer with some sort of reward tracking card. Nowadays, loyalty software is available so instead of using a card to track purchases, it’s done so by an app. 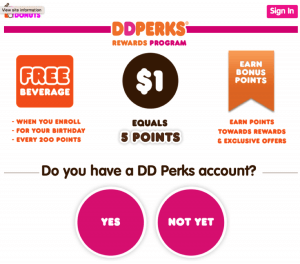 Dunkin Donut has a popular loyalty program. If you make purchases through your DD Perks account, you accumulate points. Those points turn into free beverages. They also send out a birthday reward and often send out other coupons to Perk Members. 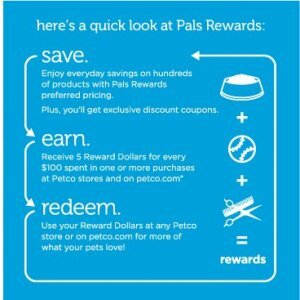 Another well-known loyalty program is Petco’s. Their Pals Reward program offers cardholders discounts throughout the store. They also offer a point system that leads to a $5 off coupon. The discounts change weekly, and they run many special promotions for cardholders. It seems like the most constant part of this program is the guaranteed $5 for every $100 spent in the store. Want to get your own loyalty program started? Here are some customer rewards program software favorites to help you out. Note: they are not listed in any particular order. Giftbit makes it easy for you to recognize, reward and incentivize your audience by sending gift cards. With Giftbit, you have access to hundreds of top brands. Brands such as Visa and Amazon. Plus the ability to select many brands for your recipient to choose from or donate to. Giftbit’s unique click-to-claim model makes them the most cost-effective choice. This is especially true for large-scale campaigns. Companies use Giftbit to get new users, drive more sales and gain growth insights. In 2016, Giftbit, Inc. expanded to include a second platform, Lightrail. Lightrail provides merchants tools for branded currency. Companies combine Lightrail’s points accumulation system with Giftbit’s automated reward fulfillment. This creates an all-in-one loyalty and rewards solution. Unlike other solutions where you have no visibility as to whether the cards are ever claimed, Giftbit provides comprehensive reporting on the status of every gift card for customers as a way to gain greater insights on their program and examine the ROI. Cost efficiency: you don’t hold any gift card inventory. You also get credit for the gift cards people don’t use and save an average of 7.5%. Control of delivery: you control delivery of the gift card via email, text or app. You can also bulk send gift cards to any number of people. Tracking, data, and management: insights on delivery, usage, and recipient behavior. Customize branding: you control the branding and messaging associated with the gift card. RESTful API: automate gift card sending with ease through your own system. Giftbit handles the purchasing, activation, and delivery. Pirq is a simple loyalty program. It uses digital punch cards to replace traditional paper cards. Therefore it helps to get customers to return more often. Pirq also tracks valuable customer information, making it easy for businesses to re-market to them to increase repeat visits. As a result of signing up, businesses receive a Pirq marketing kit in the mail. It includes signage, lanyard tags for customers to scan, and instruction cards to hand out. The best part is, it does not need difficult POS integration or a separate tablet. Pirq is great for all kinds of businesses. Current programs include restaurant loyalty programs, retailer rewards programs, and spa loyalty programs. Others include recreation companies, service-oriented companies, beauty salons, and much more. VIP offers: this is a private offer that becomes available after a customer’s punch. This is designed to incentivize another purchase. Merchant dashboard: vendors are able to access their program data and change or update information as needed. Text Club: a messaging club for customers. 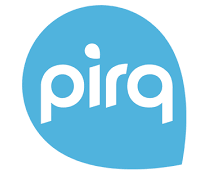 Pirq messaging platform allows merchants to send promotional offers and discounts to the customer via text. LoyalZoo is an easy digital loyalty system. It helps independent businesses create and launch an in-store loyalty program in minutes. The LoyalZoo app knows that point card members spend more and are valuable to businesses. This is because card members typically spend more per visit than non-card members. It adapts to your business, meaning you have full control. You sign up customers on your POS system by using their phone number or email address. Then points or stamps are sent to them via text or email – meaning they don’t have to download an app if they don’t want to. The app is available for customers who do wish to use it. Supports multiple locations: if you have a chain, your customers can earn points across them all. Free organic marketing: when a customer signs up using Facebook, their check-ins appear in their friend’s Facebook feed. Your branded loyalty card: design your digital loyalty card with your logo and coloring. Works for online purchases: even if a customer decides to shop online at your store, they can earn points. With The Loyalty Box, a business can create their loyalty program in 3 easy steps. Select your store (brick and mortar, eCommerce, or both), set up rules, and launch the program. The Loyalty Box is an easy-to-use, web-based program manager. It provides you with a personal dashboard and all the tools you need to keep loyal customers coming back. The Loyalty box is very flexible and can be implemented into any existing system. Businesses almost everywhere (5 countries) can manage their relationship with customers and drive loyalty. Customize earning and redemption rules: you set customer rules per program, card type, demographics, goals, etc. Event types: reward customers based on a specific event (i.e. their 3rd visit) after reaching a certain amount of points, or after swiping their card 10 times within a month. Customer loyalty app that makes it even easier for customers to sign up and redeem points. Automated triggers: set up rules to fire off after certain conditions are met. Send “thank you’s” and “Happy Birthday’s” to customers. Loyalty Gator is used by merchants all over the world (in 19 countries!). Clients appreciate that the platform is flexible so they can customize their loyalty programs with an easy-to-use system at an affordable rate. Furthermore, businesses can test it out before they buy with the 30-day free trial. Merchants own all of their customer/transaction data entered into the system and can export it at any time. Clients like that their program is their own. Programs are not within a shared network with hundreds of other participating merchants or competitors. They offer a robust API that allows clients to integrate with many third-party systems and create custom solutions. FiveStars is a powerful marketing program. It lets businesses create rewards programs as unique as they are. Upgrade from boring punch cards and switch to a digital, flexible rewards program. Businesses can connect with customers by sending them rewards at the right time. This boosts traffic by sending promotions to customers with a few simple clicks. FiveStars helps a variety of businesses. Some include restaurants, clothing, health and beauty, and retail. The product helps these businesses send targeted offers and powerful promotions to customers. It’s marketing done automatically and at the right time. Easy sign-up and check in: customers can easily sign-up in-store or via the app with their phone number. Automatic campaigns: the autopilot feature automatically sends customers notifications. Consequently keeping them engaged. Promotions tool: send one-time promotions to help spike customer visits. Perka is all about mobile loyalty. It also helps businesses build better relationships with customers, too. By turning occasional shoppers into regulars. Perka provides businesses with a way to give their customers mobile punch cards. Perka launched in 2011 and is now active in 50 states and 9 countries. As a result helping business all over the world connect with customers. The mobile app lists all Perka businesses in the area for customers as well. Making it appealing for customers to become frequent visitors all over the city they live in. Once signed up, customers can view their favorite Perka businesses in one place. They can also keep track of reward “perks” for each. Free Perka app: customers won’t have to pay for the app to start earning loyalty punches. Punchcard is a shopping app where customers earn personalized rewards everywhere they shop. After a customer transaction is complete customers take a photo of their receipt. They then load it on the Punchcard app and earn rewards. Punchcard helps businesses find new customers by allowing them to communicate with individuals who have the app and are shopping nearby. It engages existing customers with ongoing and targeted messaging. Punchcard prizes: partnered with mPOINTS to deliver a variety of rewards to users. Variety of businesses: works with over 15 million locations nationwide so users can get rewards everywhere they shop. First of all, ReZoop is free for everyone! Which means no costs for the business or customers. It offers a customizable rewards system and simple loyalty program management for businesses. ReZoop’s web-based technology replaces traditional paper cards. ReZoop is a mobile friendly, and low-maintenance frequent buyer loyalty system. ReZoop recognizes that customers appreciate recognition for their loyalty. So they provide businesses with an easy solution to reward their loyal customers. Rewards can be a variety of things like specials, discounts, and freebies. Hardware free: it’s free to register and use, and there is no pesky hardware to install. ReZoop barcode: once registered, your business will get its own ReZoop barcode to share with customers. Personal dashboard: so businesses can manage everything and analyze customer data. Mobile punch card: ReZoop app tracks purchases and when rewards are earned. Thanx pairs well with brick and mortar businesses and helps them drive revenue. This is because they help businesses focus on relationships rather than discounts by rewarding the frequent, high-spending customers. Thanx programs are customizable to fit unique business needs. Additionally, Thanx is easy to use for both customers and merchants. Customers won’t have to jump through hoops. And merchants don’t have to install any hardware or POS integrations. Best of all, Thanx is automated. Because of this, it is always running in the background to help merchants reach out to customers. Reward Connect Technology: customers take part in your loyalty program. Consequently, whenever they pay they take part in the program. So no QR codes, phone numbers, or anything needed to scan. Dashboard with detailed customer profiles: customer data lives on your Thanx dashboard. Thus, responding back to customer feedback is easy. Mobile app: the mobile platform is great for real-time actions. Actions include notifications, loyalty tracking, and communication. Customer feedback and NPS: Thanx gives your business a strategic advantage and helps you identify valuable customers and track satisfaction. Thanxgiving customer referrals: therefore customers can spread the word about your business. Belly helps you collect customer information. This information helps keep them engaged and coming back. It takes paper punch cards to a new level and makes it all about digital loyalty. A business builds their customer loyalty program via iPad. And as a result, customers sign up, check-in and earn points for rewards. All sorts of businesses use Belly. Some include restaurants, retailers, auto repair shops, health and fitness centers, and more. Belly makes it easy for customers by enabling them to check rewards and Belly activity via the Belly app. The phone app tracks all locations that use Belly rewards as well, making it easy for customers to find participating locations. Customizable iPad: create and control a customer facing iPad that represents your branding. In-store marketing materials: stickers, signs and digital collateral helps promote your loyalty program. Social media exposure: connect to Facebook, Twitter, and Yelp to get more likes and shares. Tapmango provides businesses with the tools needed to run their own loyalty program. Setup only takes 30 minutes. Businesses have the ability to customize their programs from top to bottom. Rewards, specials, and information collected from the customer can be customized. Tapmango lets businesses connect with customers by SMS, mobile push, and email. Businesses can create customer ‘happy hours’ by putting specific items on sale. Businesses can even offer instant deals and allow customers to prepay for items via text. Tapmango integrates with all the major POS systems including Vend, Square, Lightspeed Retail and Restaurant, Mindbody, Checkfront, Clover, and more. Tapmango can work side-by-side with any other POS, and be up and running within minutes. No contract: therefore no long-term commitment required. Multiple tablets: rather, unlimited tablets with different configurations at a single location. Multiple locations: the app supports single locations and big franchises. Complete customization: businesses can customize almost everything to fit their branding. There is a lot of great customer loyalty software out there. Let us know who you use and we’d be glad to add it to our list.